When we visit Epcot we can’t help but go with the motto, “Life is short. Eat dessert first!” So, don’t judge us, but we tend to make desserts a top priority at Epcot. The attractions are amazing, the entertainment is superb, the architecture is beautiful, and well the beverages can’t be beaten! BUT – it’s the desserts that we find ourselves craving. Taste your way through what we feel are the top 12 desserts at Epcot… because life is short. Eat dessert first! First stop of sugar goodness lands us at the Electric Umbrella in Epcot’s Future World. This is the first quick-service restaurant you’ll come to on the left if entering through the main entrance of the park. While the menu here is simple with burgers, salads, and flatbreads, we must say the Chocolate Overload Cookie on the dessert menu stands out. This chocolate chip cookie is loaded with chocolate chips then drizzled with white chocolate and caramel. It’s good stuff! This dessert tastes as good as it looks! Visit Via Napoli in the Italy Pavilion of Epcot’s World Showcase for an excellent table service restaurant known for their amazing Italian pizza. But, the pizza here isn’t the only mouthwatering dish to enjoy! The Gelato Frizzante is an Italian-style ice cream soda made with San Pellegrino aranciata (and beverage with fruit juice, carbonated water, and sugar) and smooth vanilla gelato. It’s an intriguing dish worth trying! 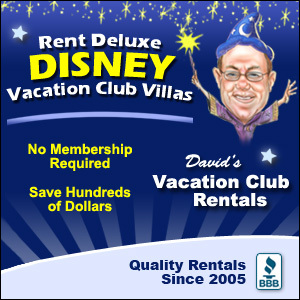 So, when this one comes to the table you’ll probably think something along the lines of… why did they recommend this one?! It’s not necessarily the best-looking dish you can order but the taste is on point. Visit the table service restaurant in Epcot’s Morocco Pavilion known as Restaurant Marrakesh. Here you can order the Bastilla for one or for two if you’d like to share! Bastilla is a plate of crispy pastry leaves topped with vanilla ice cream, cinnamon, powdered sugar, and toasted almonds. It’s a wonderfully messy dessert to eat but oh so worth it. If you’re a fan of Werther’s Original Caramel – you MUST stop in to visit Epcot’s German Pavilion where you’ll find a cute bakery known as Karamell-Kuche. This quick service spot is known for their tremendous desserts with almost all of them boasting the Werther’s Original Caramel. 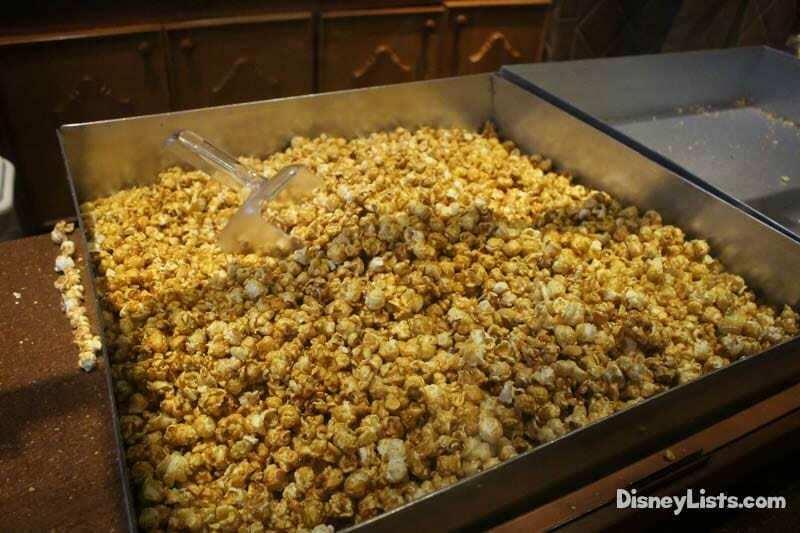 While you can go all out and get some wonderfully intricate desserts, or go to here is the simple Caramel Popcorn. It’s ridiculously good and super easy to eat on the go! We are huge ice cream fans and typically don’t like to mess with too much change to our ice cream. Give us a scoop of chocolate chip ice cream and we’re happy! We will say, however, the quick-service spot in Epcot’s Japan Pavilion known as Katsura Grill made us branch out with its unique flavors. After you’ve had some of their tasty sushi or teriyaki, you’ll want to taste their refreshing ice cream with flavors of Green Tea and Azuki Strawberry. We know the flavors may sound odd – but trust us, you’ll want more when your cup is empty. Blueberries are an exceptionally healthy food you know… so we like to pretend that we are doing our bodies a favor when we eat the Blueberry Cheesecake at Epcot’s table service restaurant, Le Cellier Steakhouse. So, let the Canada Pavilion call your name with the double-cream cheesecake with blueberry-lemon compote and a caramel cookie. 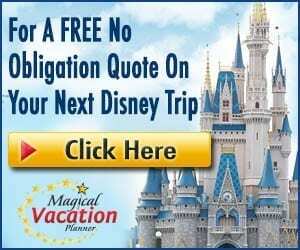 Just be sure to snag a reservation at this location well in advance (180-days if possible), as it is a popular Epcot restaurant for good reason! 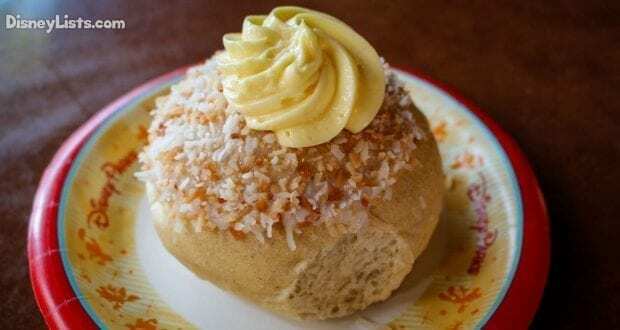 Head on over to Kringla Bakeri Og Kafe located in Epcot’s Norway Pavilion. Before you rush off to the Frozen Ever After attraction, don’t pass up the sweet treats available here! One of our favorites (and very popular among many) is the School Bread. The sweet Cardamom bun is filled with a vanilla crème custard and topped with perfectly glazed and toasted coconut. We aren’t typically fans custard fillings, but the School Bread is an exception for us. Maybe it’s the bun or the coconut – but it all just goes together oh so well. EVERYTHING… we repeat… EVERYTHING at Les Halles Boulangerie-Patisserie in Epcot’s France Pavilion is what makes up a dessert foodies heaven. While it is pretty much impossible to select just one dessert from this location – our usual pick has to be the Chocolate Mousse. We could eat literally five of these and still want more. The chocolate mousse is so smooth and creamy with a perfect dose of sweet to rich ratio. It feels like we single-handedly financially support Les Halles when on vacations at Disney! You just can’t go here enough. So, there’s this little thing called “Cronut” that if you aren’t already, you should be aware of. Step out of the countries around the World Showcase to a seemingly forgettable quick-service spot call the Refreshment Port. We see “refreshment” and we think beverages, but this location has a doozie hidden in its small building! On the menu, it’s known as a Croissant Doughnut but to Disney insiders, it’s called the “Cronut” – a combination of a croissant and a doughnut. Covered in cinnamon and sugar, we especially love the Cronut with soft-serve ice cream. You’ll likely be singing the praises of the “Cronut” after just one bite! 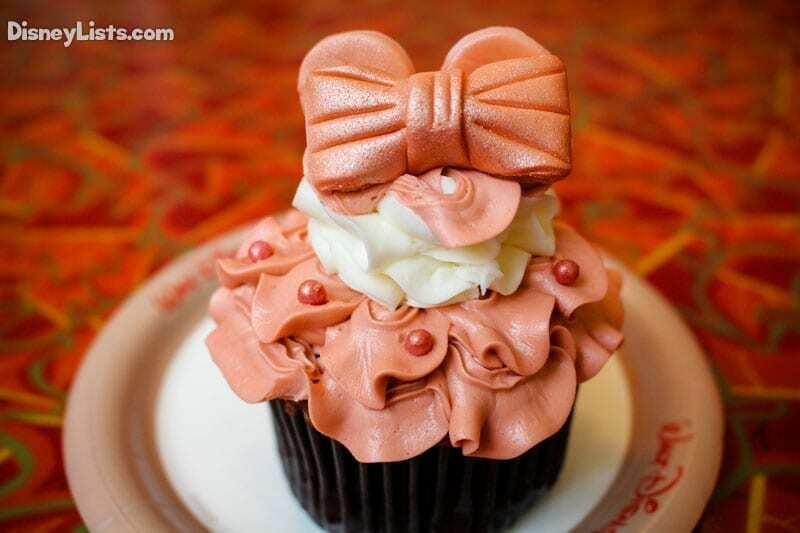 Challenge yourself to a cupcake feast on your next Walt Disney World vacation! You’ll be surprised at the amount of especially unique and delicious cupcakes you’ll find spread throughout the parks. Our favorite place to taste a good Disney cupcake, however, is the Sunshine Seasons quick-service spot located in The Land pavilion of Epcot’s Future World. While our favorite on the standard menu is the Carrot Cake Cupcake with cream cheese icing and walnuts, we must point out a wonderfully unique option that may not be on the menu but available in their pastry windows. Look for the Rose Gold Cupcake! Matching the popularity of the Rose Gold Minnie Ears, the Rose Gold Cupcake is Snapchat and Instagram worthy. The cake itself is a chocolate and vanilla marble cake that is a topped very heavily with vanilla buttercream frosting. The frosting is layered with rose, then white, then rose again. Top that off with fondant Minnie ears and bow – and TA-DA… you have one of the most trendy (and wonderfully good) desserts in all of Walt Disney World! Guten Tag dessert lovers! We’ve saved the very best for last. Grab your lederhosen and dance with us to Epcot’s Germany Pavilion where you’ll find a favorite table service restaurant known as Biergarten. The all-you-can-eat buffet is exceptional with a memorable German cuisine. Go right ahead and have dessert here FIRST if you can’t resist the temptation of the fresh daily, hand-pulled Apple Strudel. Drizzle a little cream on it and try to remember to stop and breath while you’re devouring it. Just remember – you can always go back for more. Runner-up at Biergarten would have to be the Bavarian cheesecake. Goodness awaits!